United Engine & Machine’s new Subaru sti Hi Boost 2.5 L pistons, Part Number IC506LCAT, are fully featured, right off the shelf. The new pistons are crafted from 2618 alloy and include Line2Line Abradable coating that “abrades” in for a perfect honed-in fit. Other features include type 3 hard anodized top ring groove with a Ultratherm thermal barrier coating on the crown. The wrist pin is premium TREND Performance H13 tool steel. Also, gas nitrided steel NPR ring set is included. Ring packs feature 1.2mm, 1.2mm, 2.00mm. 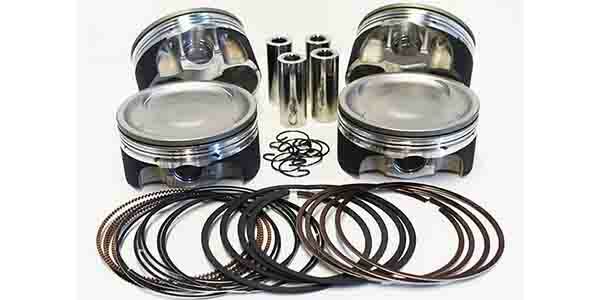 The new pistons are available in STD, .038mm, and .50mm, and are sold as a complete kit with pins, locks and rings. 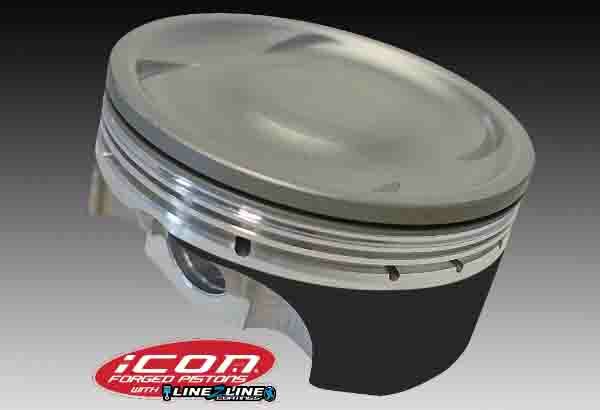 For more information: 800/648-7970 or www.uempistons.com.